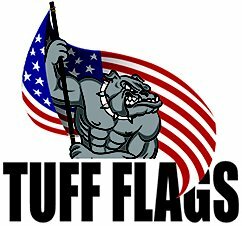 These finely crafted Indoor Flag Mounting Sets from Tuff Flags are well suited for homes, offices, schools and other organizations to enhance the beauty of the flag presentation. 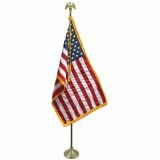 100% made in USA, our indoor flag sets can easily grab attention for its beauty and craftsmanship which includes ornaments and poles. 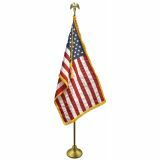 Our ornaments in gold plated designs come in various shapes such as the spear, eagle, and many others .These will definitely enhance the elegance of the flag presentations. Shop from our collection of Indoor Flag Mounting Sets right away and get the best prices, quick shipping, and much more! 100% customer satisfaction guaranteed! 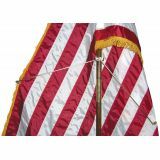 We have a full range of flag mounting kits and hardware items that will enhance your flag presentation experience. Our Indoor Flag Mounting Sets exceed the quality and industry norm in every way and we are proud to offer these impressive mounting sets at a price lower than standard sets sold by our competitors. Choose from a range of models including standard indoor oak mounting set, aluminium mounting set, and adjustable indoor flag mounting sets among others to suit your specific flag hoisting needs.Our heavy duty indoor flag mounting kits feature high quality metal components, extra diameter poles, and polished ornaments. Our indoor flag kits can also be purchased without a flag to accommodate any of the many indoor flags we offer. 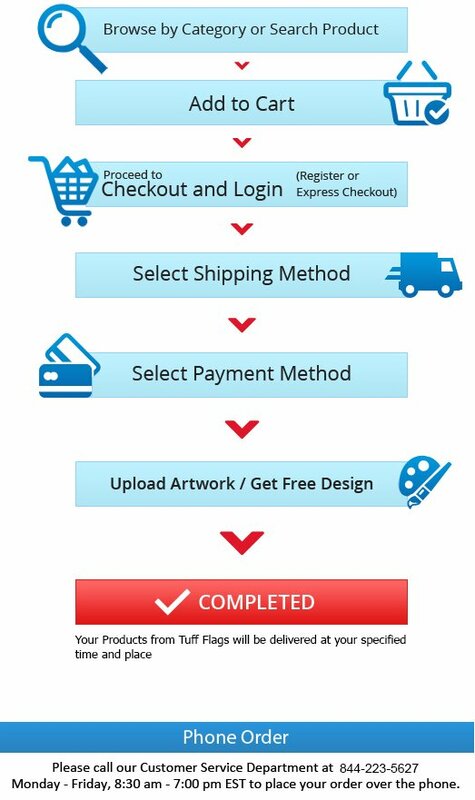 Shop for the best Indoor Flag Mounting Sets at Tuff Flags and should you need any tips or shopping assistance, call us at our toll free number (888) 287-3524 or email us at customercare@tuffflags.com.